This beautiful, detached villa is set in spacious grounds on the hillside with fabulous views over the countryside, the valley and the mountains of Monchique. 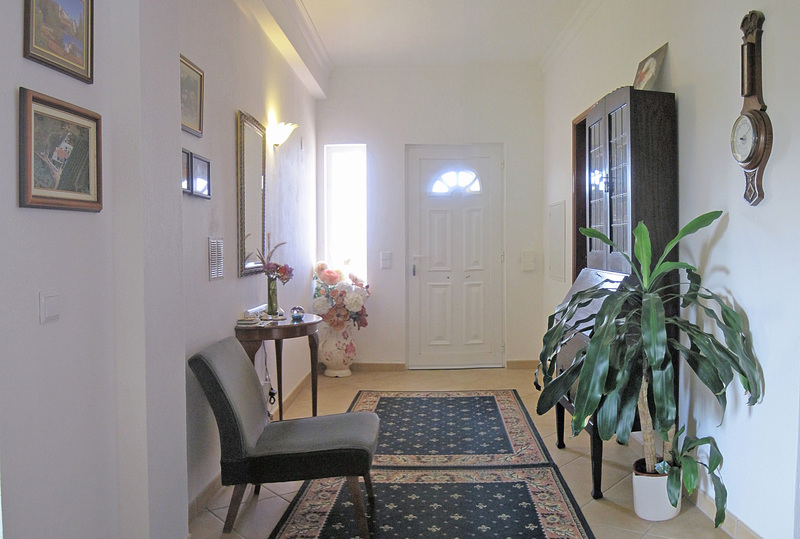 It is located inland in the county of Silves about 10 km from the tourist town of Albufeira so still close to the beaches of the Algarve and the great shopping facilities in the area. 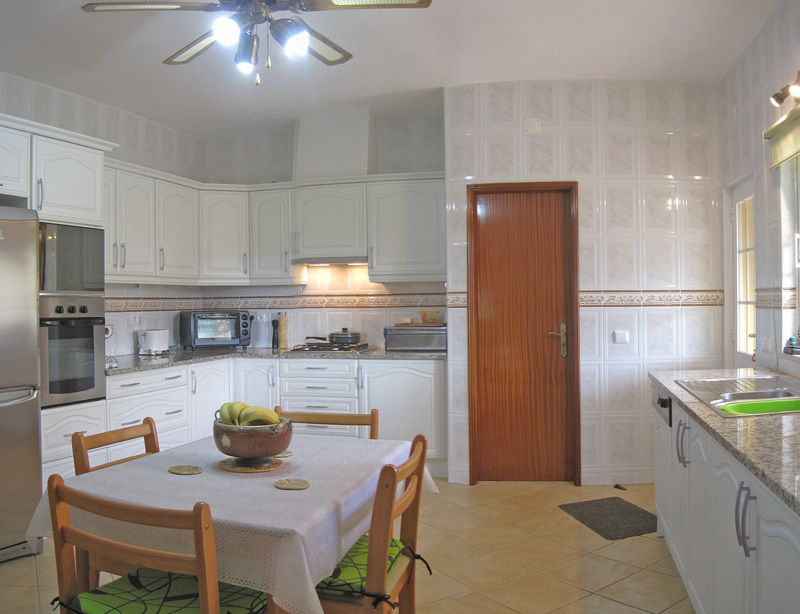 The villa has 2 floors and the ground floor comprises a covered porch, an entrance hall, living and dining area and a spacious kitchen with granite worktops and fitted with electrical & gas appliances. There is a small utility room off the kitchen which houses the combi gas boiler for central heating and hot water, washing machine and dryer. On the ground floor there are 3 bedrooms, 1 with an ensuite bathroom and a further separate bathroom. On the first floor are 2 more bedrooms with ensuite bathrooms, both have access to a large terrace overlooking the valley. There is an enclosed porch with a small kitchenette. The villa sits on 1,880 sq m of land accessed by electric gates leading to a parking area for 3 or 4 cars with 2 car ports. The garden contains young fruit trees, mature shrubs and conifers, all designed for easy maintenance. There is a shed and a barbecue area with a thatched gazebo covering a round stone table and seats. The covered porch leading from the kitchen door has bougainvillea cascading around it and is ideal for alfresco breakfast. At the bottom of the garden stands a magnificent old carob tree. The gardens feature an 8 m x 4 m swimming pool which is south facing and has an outside shower. 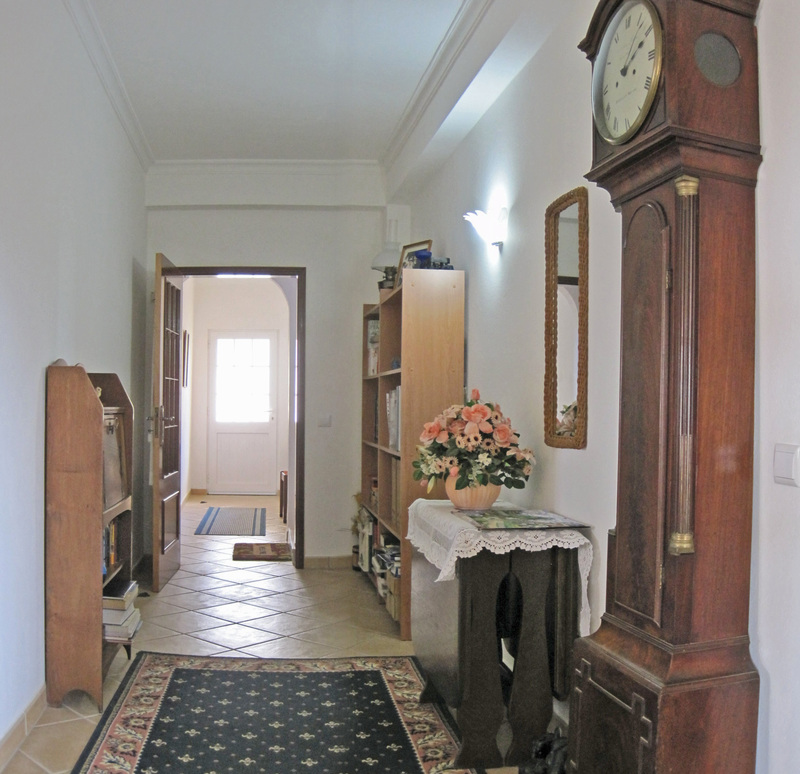 Ferreias is 5 mins away with a supermarket, a market with fresh produce, pharmacy, butcher, banks and post offices. Albufeira/Guia is a 10 min drive with excellent restaurants and a street market monthly and wide sandy beaches. Gale just 20 mins away with its attractive beaches and coves. Many golf courses within easy reach. This beautiful villa is located away from the busy tourist areas, with many walks and hiking trails in the surrounding countryside. Tunes has rail links to Lisbon and Faro airport is only a 40 mins drive.